I mentioned last week that the geekdaddy and I were trying a new eating plan where for two days a week we “fast”. In this case “fast” does not mean “eat nothing”, rather it means “eat a single meal of 4-500 calories within the 24 hour period” (that’s for women, men get 5-600 calories). For the remaining 5 days each week we just eat normally. Although we’re doing this for health reasons rather than for losing weight, I am seeing this kind of eating plan referred to elsewhere as the 5:2 diet, so that’s what I’m calling it too. Sadly it looks like the Horizon programme on this subject is no longer on iPlayer, which would have been where I would have directed you for more background to this eating plan, and an idea of the health benefits, so for now you’ll just have to take my word for it! The geekdaddy and I fasted on Monday and Wednesday last week. These days were chosen as they are not next to each other, and are days when the kids eat at nursery so we just cater for ourselves. Unsurprisingly Monday was the hardest of the two days – I got severe munchies later on in the day, and was also extremely tired – so tired in fact that I was in bed before 10pm, which is totally unheard of for me usually! However I think this was more due to staying up late the night before to watch the Olympic closing ceremony than the fast. Wednesday was much easier; having done it once already I knew my hunger wasn’t going to be unbearable. In fact, over the two days I’ve learnt some interesting things. First of all, hunger isn’t constant – it comes in waves. This means that if I do get sudden hunger pangs on a fast day I know it’s my cue to drink a big glass of water and it will soon pass. Also the hunger doesn’t really get any worse – both days I was expecting to wake up the morning afterwards and dash straight into the kitchen to stuff my face with anything I could find, but actually I’ve found myself eating perfectly normally on non-fast days. I also don’t think I’m snacking as much on non-fast days, and whilst previously I felt a lack of control particularly around cakes and biscuits I think I am more able to eat in moderation now. I appreciate it’s early days still, but I think this is looking sustainable, and if it delivers the health benefits that were claimed, it will be great. I weighed myself yesterday morning, and I’ve lost 2 pounds – if that carries on I’ll be extremely happy, although the main purpose of this diet is not to lose weight. So, on to the meal plan for this week. 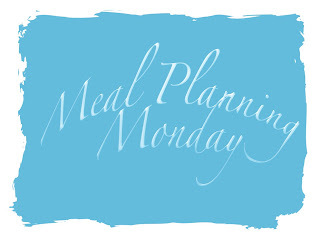 I’m not using the menus4mums plan this week, as it’s a bit of a funny week with the bank holiday weekend coming up. We’re away visiting friends over the weekend, which cuts down the number of meals I have to plan. Saturday & Sunday: No plans, as we’re away. Shame the BBC didn’t think to leave the programme on permanently, it would be a great reference tool as a lot of us are excited about the idea and I think it has already given a lot of people a push in the right direction whether directly, after having watched the programme, or indirectly, after people started talking and writing about it. I’m compiling nice recipes before starting, to make sure we stay on it. Like a lot of bloggers, I’m trying this out too, works really well in principle if you review restaurants (as I do) or cook a lot for your blog. I’m a bit suprised your fast days say ‘nothing’ I thought the point was to make sure you ate 400-500 cals as you say earlier? And, the Horizon reporter split that into two meals during the day (breakfast and supper). My fast days say “nothing” as I am not planning an evening meal. On fast days I eat a lunch in the work canteen, and my husband either eats a large breakfast or sorts his own lunch out. I’ve just re-watched the Horizon documentary (found it on YouTube thanks to another commenter) to check my facts, and there is no mention of the reporter splitting his calories across two meals. He quite clearly states that he chooses to take his calories at breakfast, and points out that once he’s eaten his breakfast he won’t eat anything else until breakfast the following day. thanks! I knew I wasn’t imagining it!!!! obviously it does depend on what you eat at lunch, even if you only eat one meal it still needs to add up to less that 500 cals (and amazingly a portion of taramasala comes in at 900 and a pizza at 1,200 or more). The entire docu is available on youtube. Don’t have link handy but that’s where I watched it, in its entirety. Good luck! I don’t think I could fast but am in awe of those that can! Hi, great to see you blogging on your progress. I have commenced blog also, look forward to see if we are all successful! meal 1 – porridge made with water and small amount of milk, with some red berries stirred in for sweetness. by boyfriend has this first thing, but I wait for as long as possible to have this so it ends up being more of a lunch. I’ve found that when I get up my sugar levels are really stable, and I can easily get to lunchtime without eating – this makes the afternoon much easier to get through. I’m between jobs at the moment so this makes it easier, I think it would be harder if I was going to work. meal 2 – M&S rainbow stir fry – we have a whole one of these each (only 60 calories – loads of veg more filling), with about a quarter of the sachet of stir fry sauce, around 50g of brown rice, and half of one of the Sainsburys packets of small prawns each (they are only 66 calories for half a packet). boyfriend has a bit more of the rice than me as he is allowed 600 calories. top tip – M&S stir fry veg is only 60 calories for whole packet, whereas Sainsburys equivalent is 170 calories – no idea why such a big difference. also, don’t use oil to fry, just a bit of water. this meal is huge – it is very rewarding as the quantity seems so big, but in total is only 333 calories, breakfast only 147 calories, leaving 20 calories to allow for 2 cups of tea with a small amount of milk in them. we’re joking that this is my new fad and my boyfriend is going along with it, but we’re both finding it quite easy, psychologically it makes a big difference knowing you can eat normally the other 5 days. my plan is to do this until I get to target weight, and then do it maybe one day a week to maintain my weight. Just starting the 5:2 Eating Plan and I’m struggling with simply having a “Fasting” day menu plan. I just need a breakfast, lunch and/or dinner plan that I can follow within the 500 calories limit. Happy to drink black coffee, herbal teas and water to satisfy hunger pangs or cravings to snack. No problem. Presume carrot, celery and cucumber sticks are calorie free, so could munch on those if the mid-afternoon munchies kick-in ? Help gratefully received. Thanks. Yes Gill G I have a lot of headaches every single day I do the 2 days fasting. As I have diabetes in my family I am always careful to spread my 500 cals over 3 meals a day and I weigh everything. I only each protein & veges & fruit & yoghurt all day so no sugar highs or lows I thought but still the headaches are making me think I should give up. I hate them and I can’t function. I usually pop a few ibroprofen but that doesn’t even really help. My wife and I have followed the 5:2 diet for the last three weeks and it really works! I’m 59, and although not overweight I hate the middle-age spread and ‘love handles’ that afflict most men of a certain age. Well in following the diet I’m amazed that I’ve lost seven pounds without any trouble, from 11 st 3 lbs to 10 st 10 lbs. On normal days we eat anything we like, including roast dinners, chips, biscuits and chocolate, though always in moderation. On ‘skinny’ days as we call them it’s a simple breakfast (e.g. bran flakes and orange juice), a very light lunch (soft-boiled egg or half a banana and a small orange) with an evening meal consisting of either a chicken breast or some smoked salmon and lots of salad. As long as you get no more than 600 calories during the day it doesn’t matter how often you eat. By breaking it into three meals we seldom get any hunger pangs and the ease with which the pounds are lost encourages us to stick with the diet. We strongly recommend it! I’ve been doing this for 3 weeks. Lost 6.5 lbs in this period max to min but my weight fluctuates up to 4 lbs a day which is twice as much as before. Started off by using the fast days as an excuse for complete indulgent pig-outs on the eating days but realised this was at least as counterproductive as doing nothing (obviously!). I am now eating normally on food days. I’m not up for hunger pangs on an indefinite basis so I researched bulky food with minimal calories and now make up a salad with the core ingredient of a whole packet of celery (surprise!) (50 cals) and then adding all sorts of varied fruit and veg, sun dried tomatoes, olive oil etc on the basis that most round fruit and veg of about the size of a tennis ball is about 100 cals or less. Only drinking black coffee or water and my huge bowl of salad contains about 350 cals. Total result – no hunger pangs at all, just a little tiredness at the end of the day. I find that I am on quite a noticeable high on the day after fasting and that mentally I am sharper in general but much sharper on the day after but perhaps a little dumber on the evening of the fast day! Now I’ve solved the hunger thing, I would continue this just because of the mental alertness thing. I’m concerned about stopping the weight loss as I was BMI 27 at the start and I want to stop at BMI 24 because the squared rule seems skewered for tall people as we are thicker front to back as well as taller and wider I think! I think we may all have to eat huge amounts to make up for the losses on fast days eventually! I intend to get LDL cholesterol and BP checked after about 6 weeks as I know they were slightly raised going in. Need to be careful on the day after the fast as too rich a diet can cause tummy upsets. I am not religious in any way but I understand that the prophet Muhammed fasted on tuesdays and thursdays so this has been going on for a long time. I’m thinking it is fairly new to us because nobody can make any money out of people not eating and therefore it is not promoted. It is the opposite to consumerism! I note for guys on 2500 cals a day, if you eat normally on the five days and 600 cals on the fast days your weekly consumption drops from 17500 Kcal to 13700 Kcal so your calorie reduction is 21%. You are getting by on aout 1/5th less calories than you were. Once we reach our target weights, if we need 2500 Kcal a day we will need to eat roughly 28% more or 3200 Kcal a day on food days to maintain that equilibrium. These are the numbers for men and I’m not sure if the underlying agenda here doesn’t involve reducing ones ambient Kcal intake? Into my 4th week, down 8 pounds and no longer classed as overweight(NHS BMI Calculator). Not sure on how long to keep this going after my target 5 weeks? Anyone got any medical advice from their GP? The wife and I are just starting this, as we’ve just returned from our hols. Sounds good to me, and whilst I have no time for faddy diets that are basically ways for others to cash in, this seems different. I tend to trust proven medics like Mosely, and BBC Horizon too for that matter – neither, as far as I can see, are out to make money from publicising this. The logic behind it seems good, and it does seem to be an easy way to drop your calorific intake by 20% or so. Planning to fast Mondays and Thursdays, so as not to get in the way of weekend entertainment etc. I have started this plan this week, however I am not sure how many cals I should have on my non fasting days, I know it says “eat normal” but surely there must be a guide? Was pretty impressed with Mosely’s Horizon programme and have decided to now embark on this new eating regime. Just a couple of questions if someone can help me out on this: Is a fast day exactly 24 hours? Can a ‘day’ begin, for example, at 8pm and end the same time the following day? I was thinking that this way I might be able to avoid going to bed hungry. Or should a day be simply begin when I awake on a fasting day and end the same time on the day following? My wife And I started this diet 3 weeks ago;she gave up after 1 day complaining of headaches and dizziness but I’m still going strong. I think she should have given it a bit longer,but who am I to argue. I’m 68 years years old, and overweight ,and have so far lost around 6lbs all though this fluctuates as someone else mentioned. I feel healthier and find eating a light lunch(John West Tuna salad pots) and a light evening meal seem to work for me. Remember this is not a diet as such, the principle(if still to be scientifically proved) is that when faced with Starvation, your brain switches into survival mode, repairing cells rather than replacing them. The evidence suggest that over time this will reduce brain disease, cancer etc., improve muscle power and hence this is a lifestyle change that you commit to long term. By entering starvation mode on two non-consecutive days, your body burns stored energy, hence you loose weight, and you should find a reduced appetite on the non-starvation days. Fortunately I’m not now overweight, but I’m doing this for health reasons. What I have found is that my appetite is lower, and I actually enjoy food more. Thank you for posting such great insights. I started my first fasting day today and found it easier to wait to eat my 500 kcals until dinner. Main reason is I cook for hubby and kids around 6 and it is easier to cook all at the same time. I’ll admit though that it is hard not to keep tasting as I cook! Today I made pasta bolognaise which I made from scratch. I used half the pasta I normally do and added a small side salad instead. My next fasting day is Thursday which is normally a ‘glass of wine in the evening’ day. It’s something I’ve wanted to stop doing so I think Thursday is going to be the best day for me. Can anyone tell me if you are allowed wine while on this plan? I really am considering giving this up after only two short weeks because of the horrid headaches I get on fast days. I spread my 500 cals over 3 meals so my blood sugar remains stable, I focus on protein, veg, fruit & sometimes a little greek yoghurt. Still by evening my head is splitting and I don’t know why. Any ideas people? One of my work colleagues gave it up within a week because she was getting bad headaches on fast days. I wonder if it’s a withdrawal symptom, but if you’re in any doubt I would recommend you talk to your doctor – it’s possible this diet may not suit everyone. splitting headaches may also come from tension, dehydration, low salt levels (at least for me), caffeine withdrawal, and other sources. experiment. I started this diet 3 weeks ago. Don’t want to go on the scale as I am scared it will show me what I don’t want to see. I start the fast from 8 pm Sunday evening to 8 pm Monday evening.. Water intake has def increased but happy to have it. I feel a lot healthier and in control of my eating now than before and plan and continuing this diet for a while ….I got tired of all the fast ways of losing weight and wanted something that actually works slow but sure and that would stay off ..I get really bloated on the days I am supposed to eat and then look Forward to my fasting days.